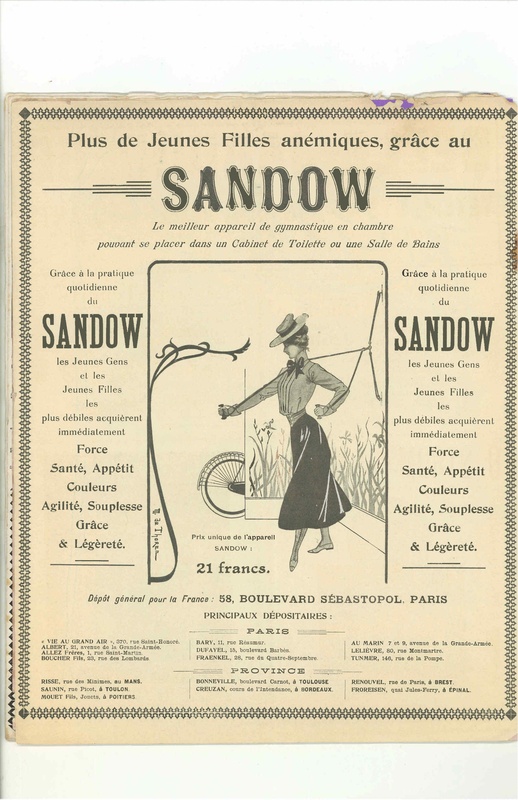 With daily use of the Sandow home exercise system even “the most feeble” will quickly (immediately) acquire “strength, health, appetite, color, agility, flexibility, gracefulness and nimbleness.” And it fits neatly in your bathroom. Very practical even for today. Hard to imagine this was 1901.